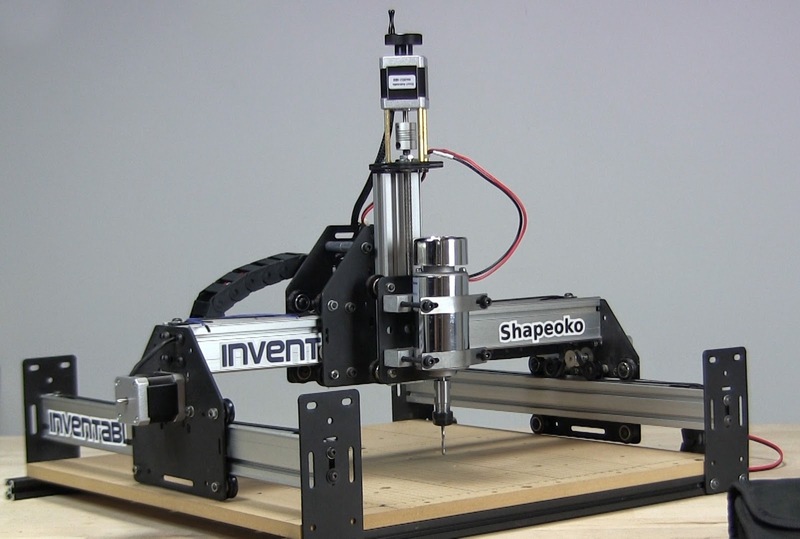 Autodesk's Fusion 360 now supports Shapeoko! Autodesk's deep catalog of CAD and CAM software is well known for being easy to use and highly powerful for creating pretty much everything. A new feature you may not be aware of is that Fusion 360 and CAM 360 now support exporting gcode for Shapeoko. Autodesk's Fusion 360 and CAM 360 are available to try for free from Autodesk's website for 30 days, and are free for students and enthusiasts. Thanks Autodesk! What actually goes on in the Inventables office? Secrets revealed! Thanks Bob! And check out his website I Like To Make Stuff. Here is a short tutorial to show the Quiet Cut Spindle from Inventables and to answer a few basic questions. #1 Question - How quiet is is? Very quiet. Please watch the video below to compare it to the standard rotary tool. #2 How do I mount it? Because the Quiet Cut Spindle is much shorter than a rotary tool you might find that you have to mount it lower. There are two good ways to do this. Option two is the preferred method because it gives you the maximum clearance under the gantry.